Search For "Shopping & Stores" Companies in Silver Spring, Maryland - Click Here Now! We Are A New And Exciting Boutique That Offer Beautiful One Of A Kind Dresses That You Do Not See On Everybody. We Sell Wedding Dresses, Prom Dresses, Celebrity Inspired Dresses, And Party Dresses. You Can Consider Us Your Personal Stylist When It Comes To Helping Your Find Dresses. We Customize Dresses To Fit How You Would Like Them To Fit And Also Maintain A Very High Customer Service Level. Please Feel Free To Contact Us And Also Check Us Out At Pinkvintageboutique.over-blog.com To View Our Selections. Contact Us Now!!! 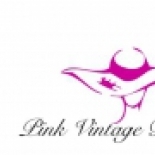 Pink Vintage Boutique in Silver Spring is a company that specializes in Miscellaneous Apparel And Accessory Stores. Our records show it was established in Maryland.